The HIV/AIDS epidemic has taken a dramatic toll on the people of Zambia. Many are HIV-positive, have been orphaned by the disease and struggle to find hope in the future. With more than 60% of the people living below the poverty line, Jesus is a beacon of hope in their daily struggles. 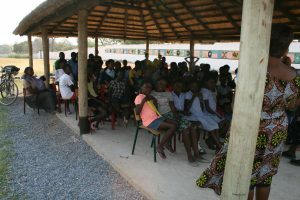 CWO began working in Zambia in 2001, offering HIV/AIDS prevention education. It soon became obvious that in addition to education, there was a strong need to serve and care for boys and young men from a local township who live without help or hope. Out of this need, the Outreach & Discipleship Program was born. In Zambia we reach out to young men who have been shunned by society. These young men are invited to meet with us weekly to share a meal, enjoy a Bible study and discuss hardships or concerns in their lives. We see marked improvements as they develop a sense of self-respect and self-worth. All of the young men receive medical care, medical advocacy, food, encouragement and support. Outreach to these vulnerable young men and boys demonstrates Christ’s love in a powerful way. Through our HIV/AIDS Prevention & Education Program we help educate Zambians and dispel the stigma often associated with HIV/AIDS. We teach sustainable prevention and focus on behavior choices and the reasons behind them. Prevention education is taught regularly throughout the community. The program makes a great impact when individuals learn a scientific and cultural view as well as a Christian view, thus diffusing many cultural myths. Find out more about our programs in Zambia in the sidebar to the right. Quick Fact – An average of 140 people each month participated in HIV/AIDS prevention education through CWO in 2015. Making a Difference … in Zambia! 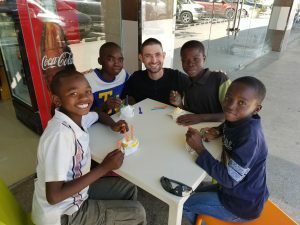 The CWO staff in Zambia learned about a group of deaf young men from Nkwazi who were familiar with our Outreach & Discipleship ministry to the Nephews. Eager to interact with and engage these young men, the staff began working with them to introduce them to Jesus and what it means to live a Christian life. These men are excited to learn and were quick to feel accepted and loved. As in our Outreach & Discipleship ministry, these young men also receive medical care, food, access to bathing and clothes washing, spiritual guidance, encouragement and support from the CWO staff in Zambia. We are currently raising funds to hire a Zambian translator and deaf teacher so we can give these young men an education and a bright future! If you want to help, click DONATE above, then click on Zambia in the first drop down and then click on Deaf Ministry in the second drop down. Thank you! In addition to humanitarian assistance, CWO believes emotional and spiritual assistance are just as important. The majority of the young men CWO began reaching out to are “call boys” who assist in loading the public transportation at the bus stops. By reaching out to these young men we have seen a marked improvement in the lives of those who have participated in this program. These men then introduced younger boys from a local township to CWO in 2005. This has blossomed into discipleship meetings, English tutoring, weekly outreaches, Bible studies, and activity days. The younger boys are now in school through CWO’s assistance, and believe they have something to contribute to society instead of destroy it. They have hope and their self-esteem has increased. 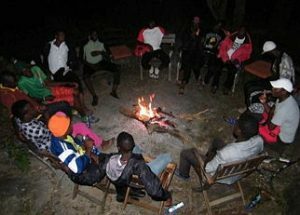 All of the young men receive medical care, food, access to bathing and clothes washing, spiritual guidance, encouragement and support from the work of CWO in Zambia. Some of the young men are HIV-positive and CWO comes alongside them to be their advocate. CWO staff attend medical reviews, remind them of appointments and provide them with protein rich foods to enable the medications to work properly. This encouragement is helping to reduce the stigma of HIV in a society that rarely speaks the word “HIV” and is demonstrating Christ’s love in a powerful way. CWO field staff in Zambia have created an HIV prevention education program that combats the stigma often associated with the disease and teaches sustainable prevention. HIV/AIDS education is routinely taught at schools and universities, trade schools, community groups, youth groups and churches. Hundreds of individuals attend the classes each year and learn ways they can remain HIV negative, reduce the spread of the disease, know where to go for treatment and testing, and how to lovingly respond to someone who is infected with the disease. The teachings make a great impact because they are uniquely taught from a scientific, cultural and Christian point of view. This enables many of the cultural myths to be diffused, for HIV to be perceived properly and for new skill sets in behavioral choices to be discussed and learned. Poverty is a systemic problem often fueled by a lack of access to education and resources that can lead to being able to earn a living. 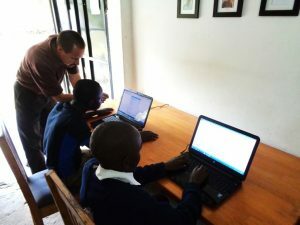 In 2003, CWO in Zambia created a “learning library.” Every day local and distance learning students come to the library to study, access books and use computers. These resources result in more students passing their final exams, not only at the high school level, but at the university level as well.